Grade One (beginner gun dog) is the first stage in the gundog training journey. The links below lead to training exercises and information to help you reach the Grade One level of competence. 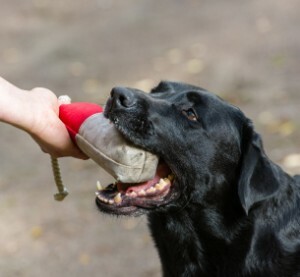 The exercises are also ideal for those taking their first steps in controlling and managing a pet gundog. You can follow this link to find out more about Grade One. The articles below are to help you get started with your training. This information and much more is also in my beginner gundog training guide Passing Grade One, available from the Gundog Club bookshop. The Graded Training scheme for gundogs is specifically designed to help owners of gundog breeds train, manage, and enjoy their lovely dogs. Click on the link which applies to you and run through the test at home with a friend. If your dog can do it easily, you are ready to start on Grade Two. If you would like to take the Grade One test, and earn your certificate and rosette, telephone the Gundog Club on 01428 717529. You can book your test and pay by phone.